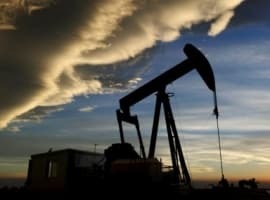 As Goldman Sachs warned of another oil price collapse if bullish catalysts remained absent, oil prices struggled early this week, recovering slightly due to U.S. shale output reportedly stuttering in June. • Energy prices were among the worst performing commodities in the first half of the year. • WTI and Brent both sank more than 10 percent. The energy sector within the Standard and Poor’s Goldman Sachs Commodity Index (GSCI) declined by 11% during the first half of 2017. • The only commodity that lost more value than Brent crude was sugar. • Statoil (NYSE: STO) and Husky Energy (OTCPK: HUSKF) drilled dry holes as part of their two-well exploration program off the coast of Newfoundland and Labrador. The results do not bode well for Canada’s offshore prospects. • Total SA (NYSE: TOT) is viewed as the strongest contender to work on the world’s largest natural gas field in Qatar. The reason is that the French oil company is moving forward on the same field in Iranian waters, giving it a leg up on its competition. • Halliburton (NYSE: HAL) says that it hired 100 people per month in the first half of 2017 an attempt to keep up with drilling demand in the Permian basin. Halliburton has expanded its volume of fracking trucks and pumps in the Permian by 30 percent in the past few months. 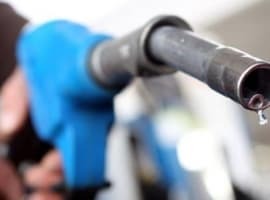 Oil moved down in early trading on Tuesday as Goldman Sachs warned that oil could fall below $40 if bullish catalysts don’t emerge soon, prompting other banks to review their oil price forecast. Prices however recovered somewhat on Tuesday afternoon as the EIA’s STEO report reflected a small drop in U.S. crude oil production in June. U.S. crude oil production decreased 0.02 kb/d to 9.22 mmb/d in June compared with May. Output has increased 0.66 kb/d since the low in September 2017. Production, however, is forecast to increase 1.01 mmb/d in 2017 and 0.34 mmb/d in 2018 and reach 10.13 mmb/d by December 2018. It should increase +0.91 mmb/d from June 2017 to December 2018. 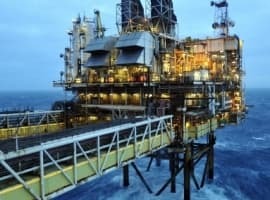 OPEC considers production caps for Libya and Nigeria. OPEC is reportedly considering taking the exemption away from Libya and Nigeria, forcing the two OPEC members to limit their production as part of the cartel’s collective reductions. Libya and Nigeria had been given exemptions because both countries have suffered from instability and attacks on oil infrastructure, forcing large volumes of capacity offline. But both have seen a sharp resurgence in output. The restored supply is undermining the efficacy of the cuts from other OPEC members. It is still early, but sources told the WSJ that OPEC officials have been inquiring about production data from Libya and Nigeria, which could be a prelude to production caps, perhaps at the next meeting in November in Vienna. Meanwhile, Russia’s energy minister hinted that the OPEC and non-OPEC countries could theoretically extend and deepen their cuts, comments likely intended to reverse the dramatic bout of pessimism throughout the global market. Saudi Aramco says low investment could lead to supply shortage. The global oil market could suffer from a supply shortage because of the steep drop off in upstream investment over the past several years, according to the Saudi state oil company. Some $1 trillion in investments were scrapped because of the market downturn. “The long-term situation of oil supplies...is becoming worrying,” Aramco CEO Amin Nasser said at an industry conference in Istanbul. Nasser warned that the world will need 20 million barrels per day of new supply over the next five years, “[i]nvestments in smaller increments such as shale oil will just not cut it,” he said. Saudi Aramco to spend $300 billion over decade. Aramco will spend $300 billion over the next decade in order to maintain its spare capacity and also explore for natural gas. Conventional oil fields depleting at fastest rate in a quarter century. The three-year market downturn has led to a sharp reduction in investment in existing oil fields, leading to an accelerated decline in output. According to Rystad Energy, the depletion rate at older oil fields in 2016 was the largest since 1992 at 5.7 percent. Those fields account for a third of global oil production. Rystad also says that the declines could balloon to 6 percent this year without a rebound in prices. China saw production decline by 9.5 percent last year, and older fields in the U.S. declined by 8.3 percent in 2016 and 11 percent in 2015. “A lot of the focus is on OPEC and shale and not on the decline at these mature fields, where supply is struggling,” said Espen Erlingsen, a partner at Oslo-based Rystad, according to Bloomberg. “We’re starting to see the long-term impact of lower oil prices.” Meanwhile, Citi’s Ed Morse believes the depletion problem is much more manageable, arguing that really only about 10 mb/d of new supply will be needed. "That's not a big number to replace," Morse said in an interview with the Houston Chronicle. Major LNG project could be delayed. The Ichthys project, a massive floating production storage and offloading (FPSO) unit in Australia, could have a crack in it, potentially costing billions of dollars and longer delays. Japan’s Inpex operates the project. Ichthys was originally expected to cost $20 billion, but it could now run higher than $37 billion. PDVSA downplays talk of nationalization. Venezuela’s state-owned oil company PDVSA had to issue a statement guaranteeing the “legal security” of the assets of foreign oil companies in the country amid speculation that the Venezuelan government might seize foreign ventures in a desperate attempt to fund the cash strapped government. The Venezuelan economy is in freefall and government finances are drying up, which raised calls for nationalization. Frac sand companies see share prices plunge. On Friday, the share prices of a variety of frac sand producers fell sharply on fears of oversupply of sand. That came after a privately-held Unimin Corp announced plans to develop a major sand mine in the Permian Basin to supply drillers in the region, a project that threatens the future of other frac sand suppliers. Shares from companies like Hi Crush Partners (NYSE: HCLP) and U.S. Silica Holdings (NYSE: SLCA) fell about 10 percent. South Korea to prioritize LNG over coal and nuclear. The new government of South Korea is looking to slash its dependence on coal and nuclear power, which could lead to a 50 percent increase in LNG imports by 2020. The heavier reliance on LNG could help reduce the global glut of LNG supply. “We are seeing a dramatic change in strategy. There has been a big question over when the [LNG] market would tighten between 2020 and 2030. The change in policy in Korea brings the date forward,” Trevor Sikorski, a gas analyst at Energy Aspects, told the FT.
Hard to know what to take seriously when shorts are at record levels. 2 weeks ago crude+product shorts were at record highs. Higher than early 2016 when oil hit 20's. Likely they were back to records again after last weeks EIA report.